Add a personalized touch to any room, or give a simple gift that every one would love, when you purchase the Shimlee custom floral wreath wood sign. 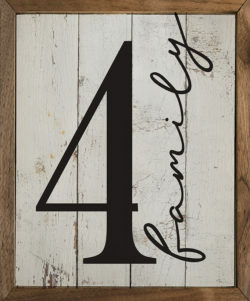 Whether you like the black with white lettering, or white with black lettering, the custom block wood sign will look wonderful in your home. Choose from 12×4, 24×8, or 32×12 to fit any space in your home. 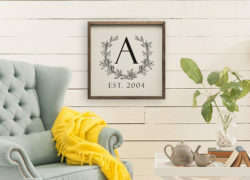 The light, and airy script font over a hand-painted natural wood is what makes this simple modern custom wood print a unique look. 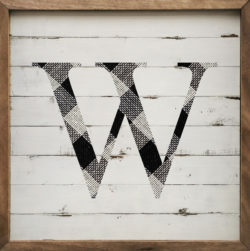 This style fits a variety of decorating styles making it a stunning gift for a friend or family member, or decor piece for your home. 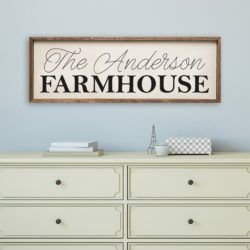 Whether your choose the 12×4″, 24×8″, or 36×12″ size, your one-of-a-kind Shimlee custom design farmhouse wood sign will give the finishing touch to your rustic, farmhouse design style. Hand-painted & built from real North American walnut and maple hardwoods. 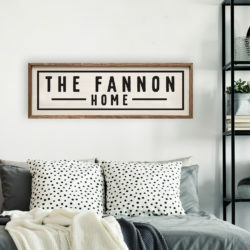 Highlight your last name with this fun and chic curly font custom last name wood sign. Its the perfect size at 24×18 to make a statement without breaking the bank. 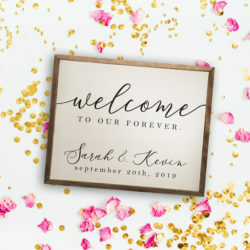 Welcome your guests to your wedding or shower with a romantic, rustic, and custom wood sign. 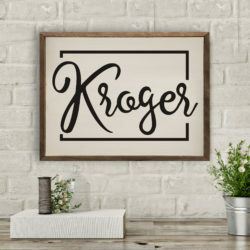 This print makes a wonderful gift, or something to order for yourself. Each sign is made-to-order in Edgewood, Iowa.